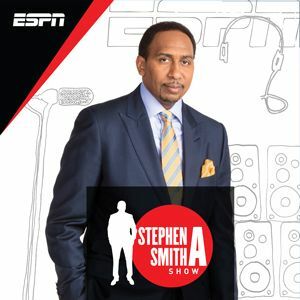 In September 2014, Smith began hosting the daily The Stephen A. Smith Show on SiriusXM’s Mad Dog Sports Radio. 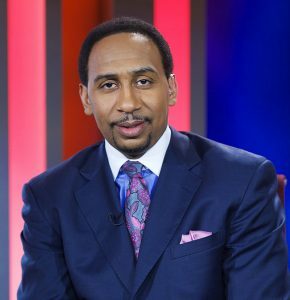 In January 2017, The Stephen A. Smith Show moved to ESPN’s SiriusXM channel and simulcast on ESPN’s owned and operated stations in New York (98.7FM) and Los Angeles (710AM), airing 1-3 p.m. ET. 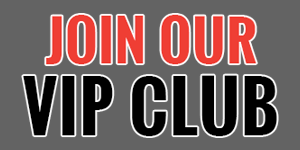 In January 2018, the program expanded to the national ESPN Radio network and is available across ESPN Radio stations throughout the country. Smith made his acting debut on the ABC soap opera General Hospital in a cameo appearance as a television reporter on the February 2, 2007, Later the same year, he was in the Chris Rock motion picture I Think I Love My Wife. Smith returned to General Hospital in April 2016 as “Brick,” a surveillance expert for the Mob.